DUBAI, 3rd June, 2017 (WAM) -- Dr. Hanif Hassan Ali Al Qassim, Chairman of the Board of Management at the Geneva Centre for Human Rights Advancement and Global Dialogue, the Geneva Centre, has affirmed that the protection of children and civilians in war and conflict areas constitutes a moral and humanitarian responsibility for the international community. 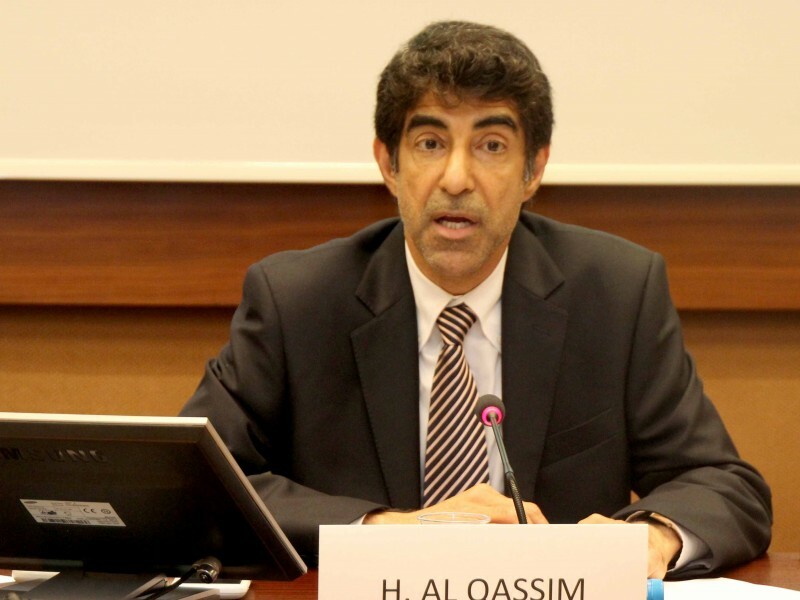 In a statement issued by the Geneva Centre, on the occasion of International Day of Innocent Children Victims of Aggression, Dr. Al Qassim stressed the need for authorities to play a more effective and decisive role in condemning the humanitarian crises created by militias and armed groups that use religious, ideological, social and economic claims to acquire power, with no regard to the suffering of civilians, especially women and children who are subjected to the worst violations resulting in crimes of genocide and forced mass exodus. He highlighted figures released by various international organisations including UNICEF, which said that in December 2016 approximately two million Yemeni children face a grave risk of hunger and malnutrition. UNICEF also confirmed that the humanitarian crisis in Syria has led to five million children in need of assistance, of which 2 million currently reside in conflict zones. Al Qassim appreciated the UAE's role and the outstanding humanitarian support for its neighbouring Arab countries and other stricken communities around the world, regardless of religious or cultural differences. He added that this reflects a comprehensive vision of the wise leadership. The statement called for the need for both decision-makers, humanitarian and international institutions to cooperate and work towards ending conflicts and stopping the bloodshed and destruction afflicting civilians.